The ocean is a huge storehouse of energy—the sun heats the surface, wind creates waves, and tidal forces exerted by the sun and the moon create tidal fluxes. Most technologies to tap this huge resource are still in the developmental stages. Thermal Energy (heat): Two major ocean thermal technologies are of interest in Hawaii: seawater air conditioning and ocean thermal energy conversion. Both rely on the fact that the deep ocean is significantly colder than the tropical surface—nearly 40 degrees Fahrenheit colder. In Hawaii, this deep, cold water is comparatively close to shore in many locations. 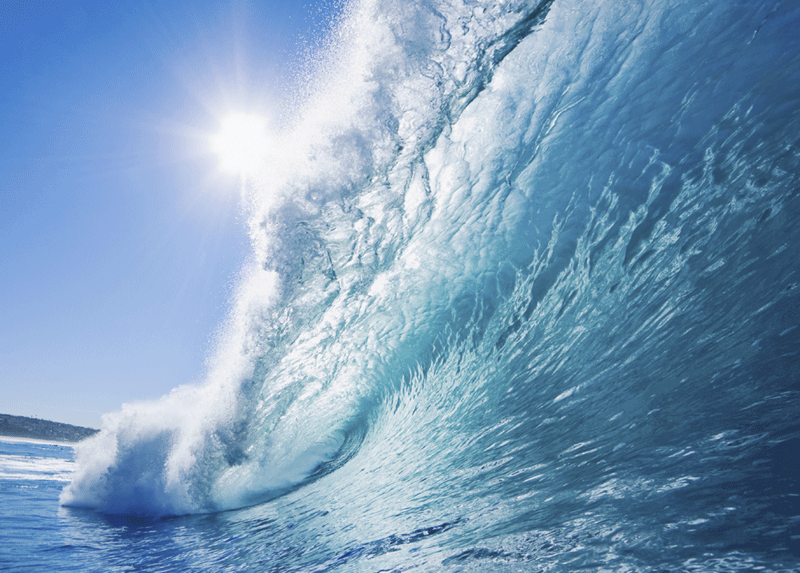 Marine Hydrokinetic Energy (motion): Marine hydrokinetics (MHK) refers to technologies which tap the kinetic energy of the ocean—the energy carried by moving water. Most typically, the ocean’s motion is converted to useable electricity by a device which either spins as the water flows past it or bobs up and down in the water.